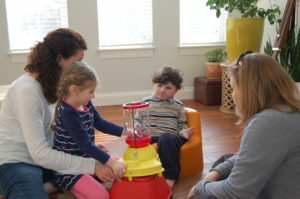 Capable Kids and Families is a program designed to promote early intervention by providing children, ages birth to six, and families with developmentally appropriate toys and therapeutic equipment free-of-charge. Additionally, the program connects families to community resources that meet their needs, and facilitates network building and supportive friendships among parents. All equipment and developmental toys are loaned to families free-of-charge for as long as it is needed! 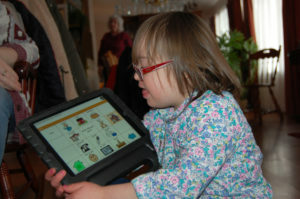 View Our Capable Kids and Families Equipment Catalog. A trained support specialist will visit the family regularly in their home. Our goal is to help the family assess the needs and desires of the entire household. This specialist will provide information and referral to appropriate community resources, as well as help parents in accessing formal services from a wide range of providers. For more information or to refer a family, please contact Julia Schaffner, Program Coordinator, at 314-817-2247. CKF provides opportunities for families to socialize and learn with other families. For more information about upcoming activities, please contact Julia Schaffner, Program Coordinator, at 314-817-2247. 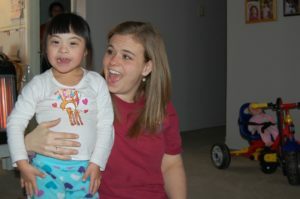 Capable Kids and Families® is made possible through the generous support of Children’s Trust Fund and ARCHS. 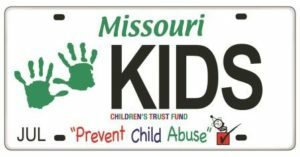 Click below to learn more about how you can help prevent child abuse by proudly displaying the official Children’s Trust Fund (CTF) license plate on your vehicle. Learn how Area Resources for Community and Human Services (ARCHS) funds and strategically enhances initiatives that improve the lives of children and families facing disparities and disadvantages in St. Louis’ most impoverished communities.